Newby Hall and Daniel Hornsey (of Hornseys’ in Ripon) have collaborated to create ‘The Shop@Newby Hall’, a space dedicated to modern art, design and creativity. A firm emphasis is placed on quality and value across all price ranges. 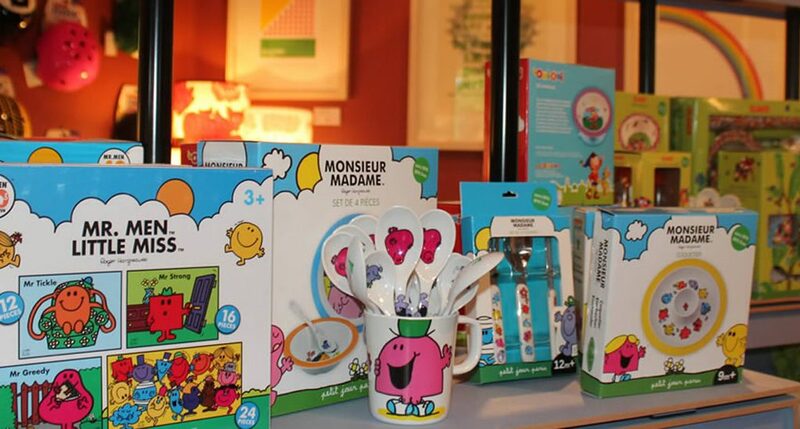 The Shop holds a fine range of ceramics by Quail Designs, glassware by LSA and Rob Ryan, a broad range of greetings cards and stationery, books for both children and adults including fine quality activity books, artists’ materials from Derwent and Pink Pig, toys including nanoblocks, Holztiger wooden animals and other activity kits, original prints, lighting and lampshades from Lush Designs, fine quality leather and wood photograph frames, children’s jewellery and tableware including Elmer, Maisy, Noddy and the Mister Men. Artists represented by Hornseys’ and The Shop at Newby Hall include Mark Hearld, Emily Sutton, Ed Kluz, Jonny Hannah, Kittie Jones, Paul Bommer, Al Heighton, Mick Marston, Carry Akroyd, Angela Harding, Sarah Young and Michael Kirkman. Open every day of the season from 11.30am – 5.30pm. The Railway Shop offers Newby branded souvenirs, hot and cold drinks, a range of snacks and or course, railway tickets. 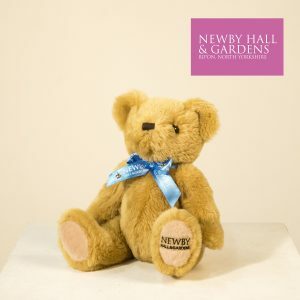 Newby Teddy is available from The Shop, the Railway Shop and online. His price of £8.50 includes a free railway ticket. Newby’s Plant Nursery, adjacent to the Shop, offers a quality range of plants, most of which can be found in the gardens themselves. All our stock is either chosen or propagated on site by our expert gardeners. Everything you can buy at Newby Hall, from food and drink to books and art, reflects the exceptional quality of the house, collection and estate.